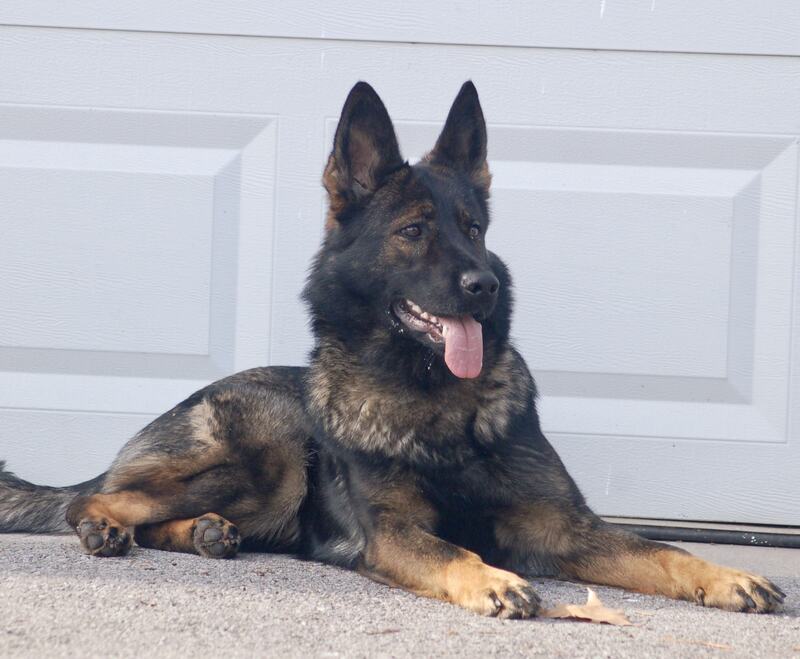 All of our protection Dogs for sale are aesthetically pleasing, sociable, well-mannered dogs. They are terrific with children and well behaved in the car and home. The dogs are all trained with off-leash obedience. Our Protection dogs are trained to bite an attacker on your command, then release and return to position when told. Their presence alone is a great deterrent. CCPD considers personal delivery essential, ensuring a smooth and successful transition. We therefore include the labor for delivery in the purchase price of the dog. This will consist of 2 trainers personally delivering your dog, acclimatizing the dog to your home and family, customizing the training as needed and providing handling instruction. All expenses for airfare, hotel and car rental are the responsibility of the buyer. Additional days can be purchased for $1,200.00 per day, per trainer. Personal delivery is available within North America and most international locations.